Bishop of the Catholic Diocese of Sokoto, Most Rev. Matthew Kukah, has said that one of his greatest worries about the way government is fighting insurgency is that it sees it as a military operation, which shouldn’t be. 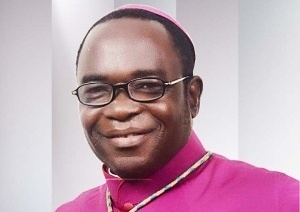 According to a release by The Kukah Centre, the bishop, who spoke in Maiduguri, during a three-day community engagement forum entitled, Deradicalisation, Rehabilitation and Reintegration in Post-Boko Haram in North-East, said that ending insurgency in the region is not something the military can do alone. The release said, “it is in this light that the Centre organized the programme which brought together participants from communities in the three most affected states- Borno, Adamawa and Yobe. The main focus of the activity being held in Maiduguri is about bringing these people to tell their stories. We didn’t bring politicians to come and tell it for them. It is important for them to talk about the strategies they used that made them as resilient as they have now become. “This is the beginning of a longer conversation which will feed into a subsequent meeting to take place in Abuja. That will involve policymakers who will hear the initiatives of these people and also know how they feel and what they think.